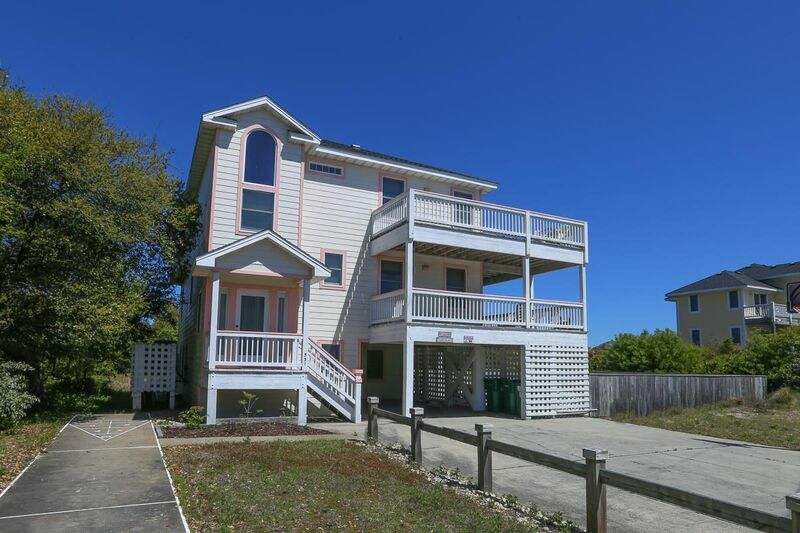 Treat yourself to this spacious home located on a large lot in a cul-de-sac, which leads directly to the beach access. It’s just a two minute walk to the beach! It offers privacy, and an ocean view. It is also conveniently close to the golf course. Bedroom (with Queen and Double sleep sofa). Game room with Queen sleep sofa, full bath, microwave, wet bar with mini refrigerator, pool table. 4 bedrooms (master bedroom with King and private bath; 1 with Queen and 1 with 2 Bunk sets share a jacuzzi bath; 1 with 2 Bunk sets and bath), lounge area with CATV. Great room with living room, dining, kitchen, master bedroom (with King and private jacuzzi bath), half bath.